Possibly Manning‘s most famous and beloved citizen came from the imagination of another well-known and treasured native. 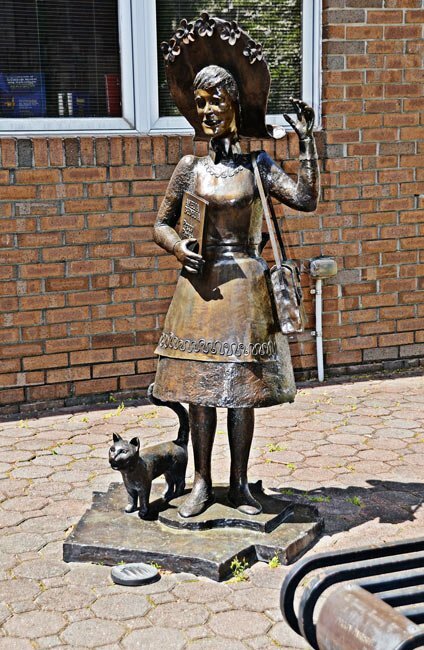 Amelia Bedelia, the children’s book character who taught many young readers about figurative language, is the creation of Manning author Peggy Parish. Generations of children grew up reading the Amelia Bedelia series, beginning from the publication of the first book, Amelia Bedelia, in 1963 by Harper & Row. Following Parish’s death in 1988, her nephew, Herman Parish, continued the series, beginning in 1995. The books center around a housekeeper who interprets her employers’ instructions literally, leading to comic scenarios that delight both child and adult readers. In 1999 a five-foot-tall statue of the character was unveiled in front of the Harvin Clarendon County Library. 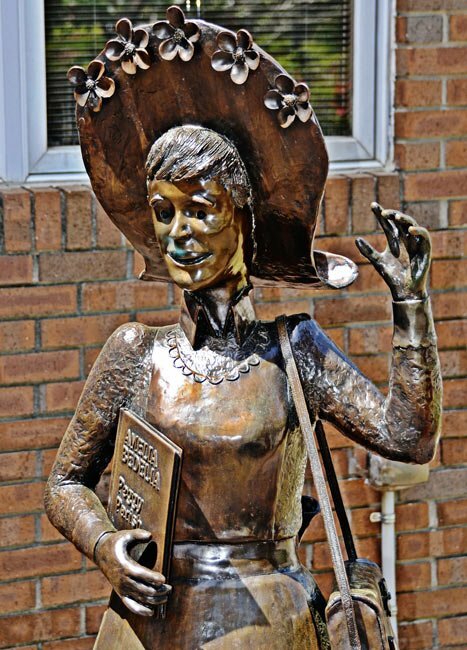 Sculpted by James Chaconas of Lugoff, the bronze likeness depicts the character in her trademark uniform, including her over-sized bonnet.